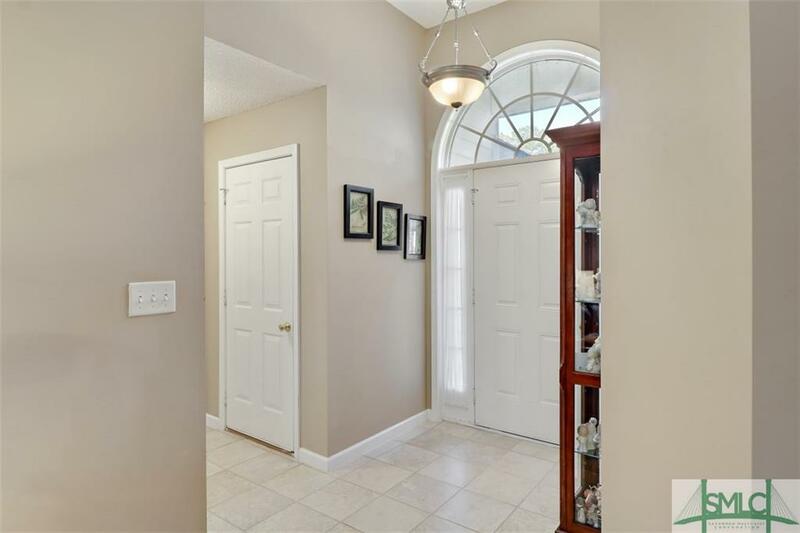 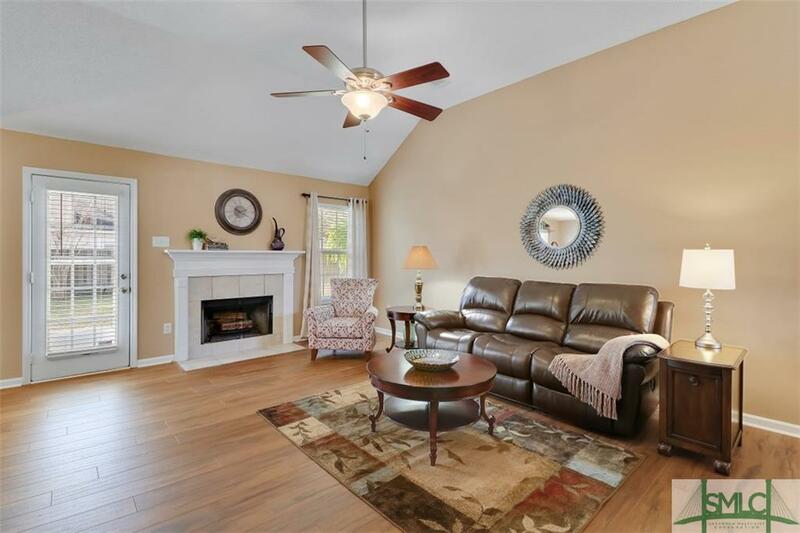 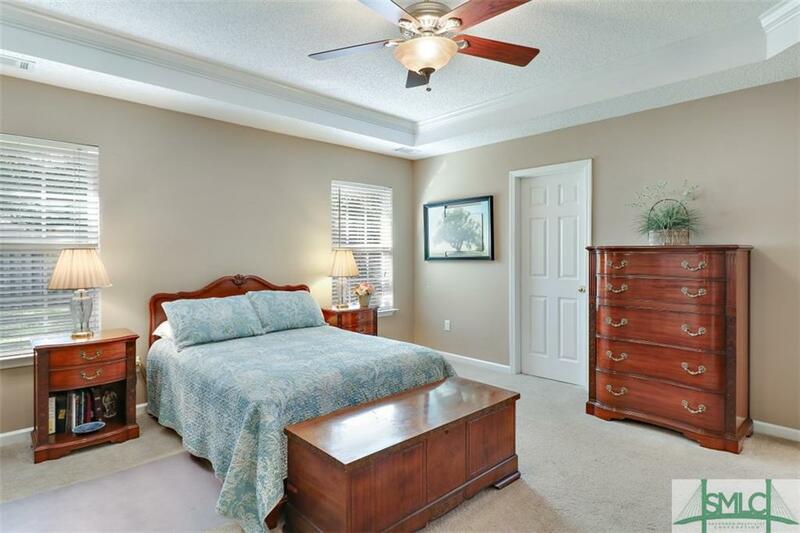 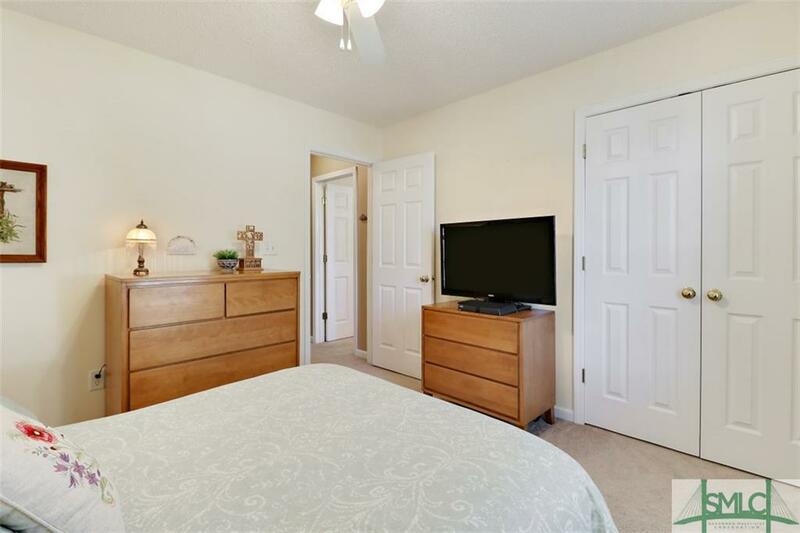 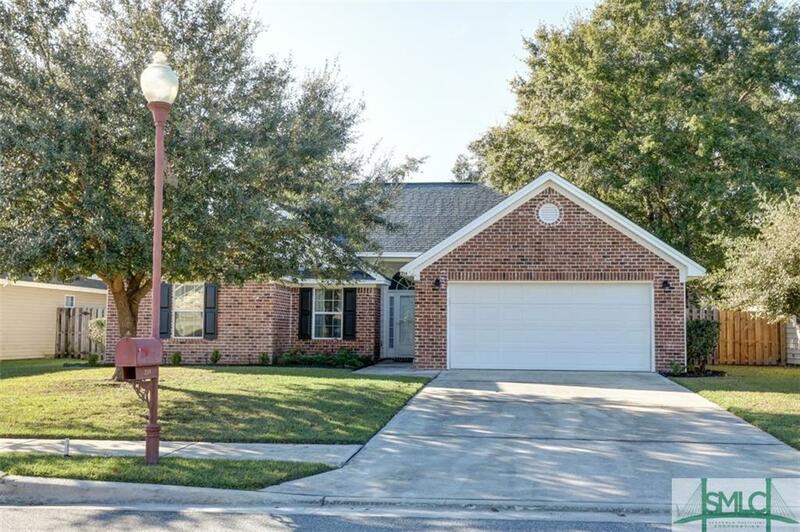 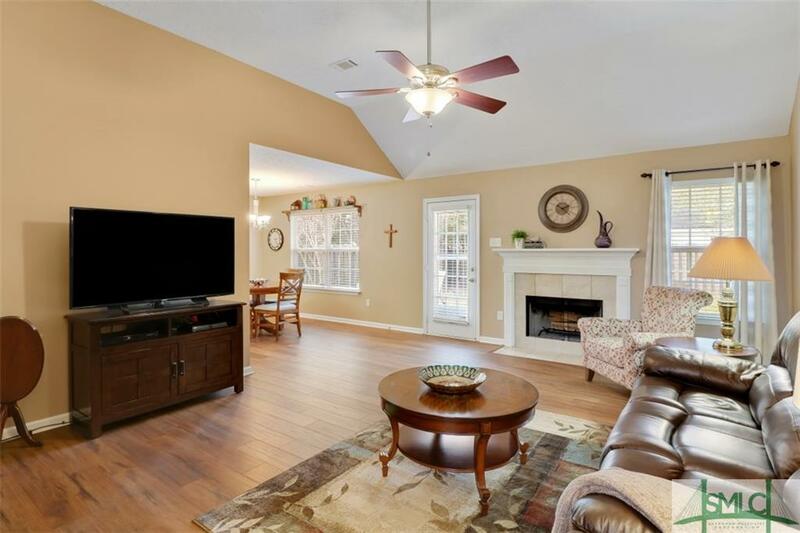 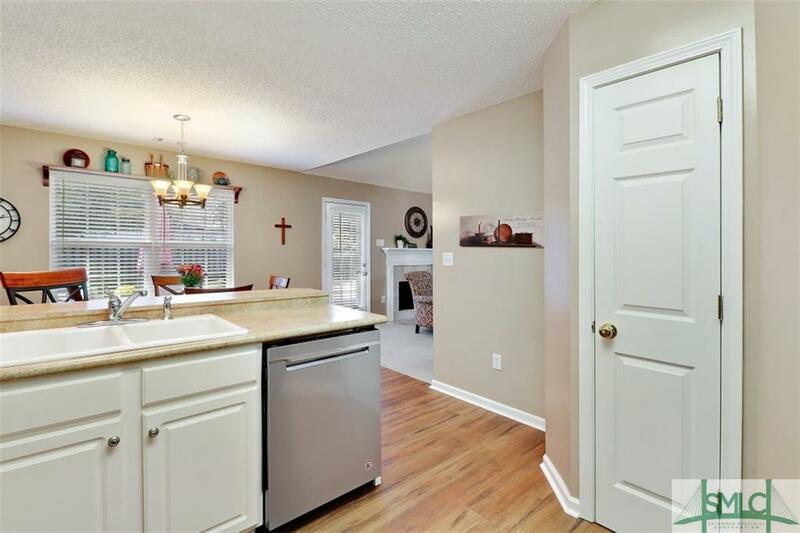 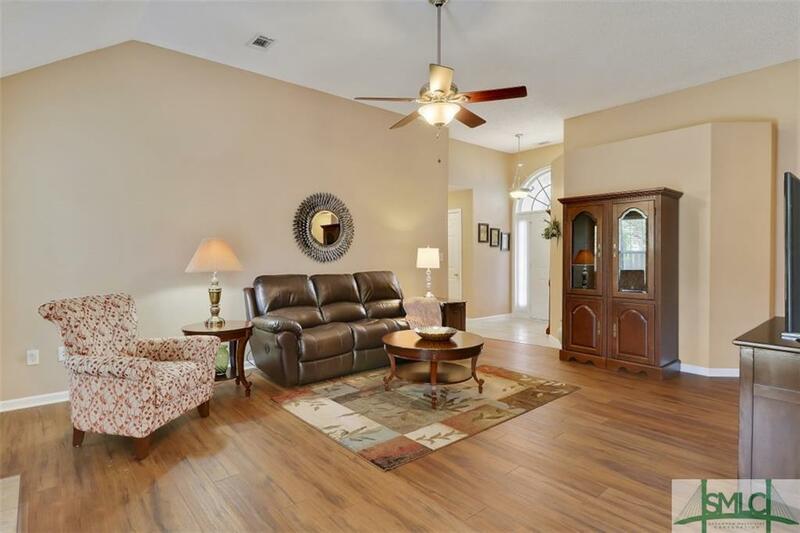 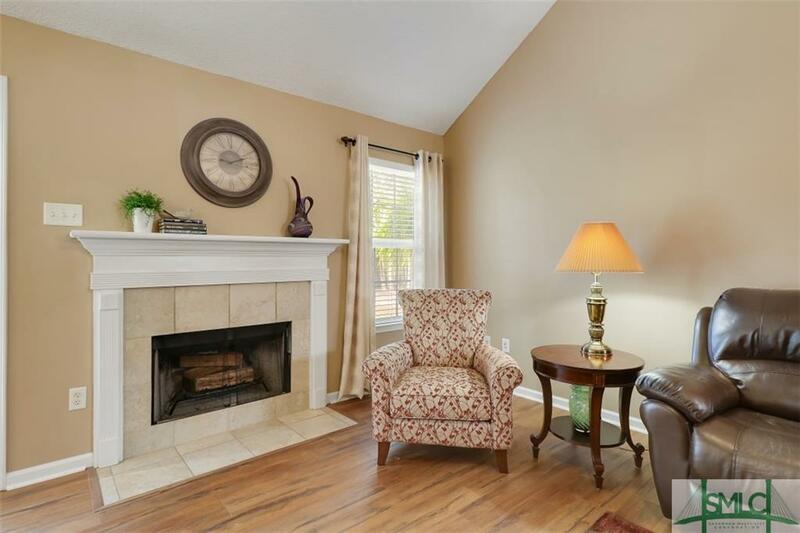 This immaculate and lovingly cared for home is in the highly desired community of Stonegate, plus South Effingham Schools! 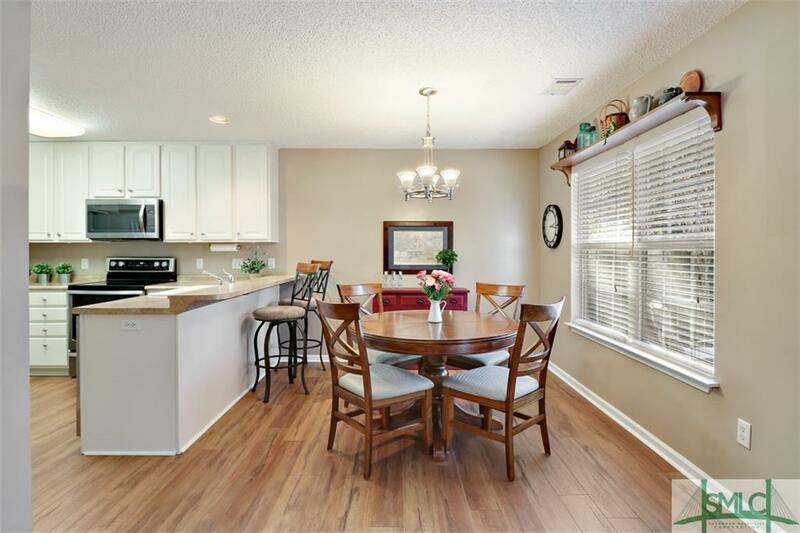 New hardwood flooring in kitchen, breakfast, and living room areas. 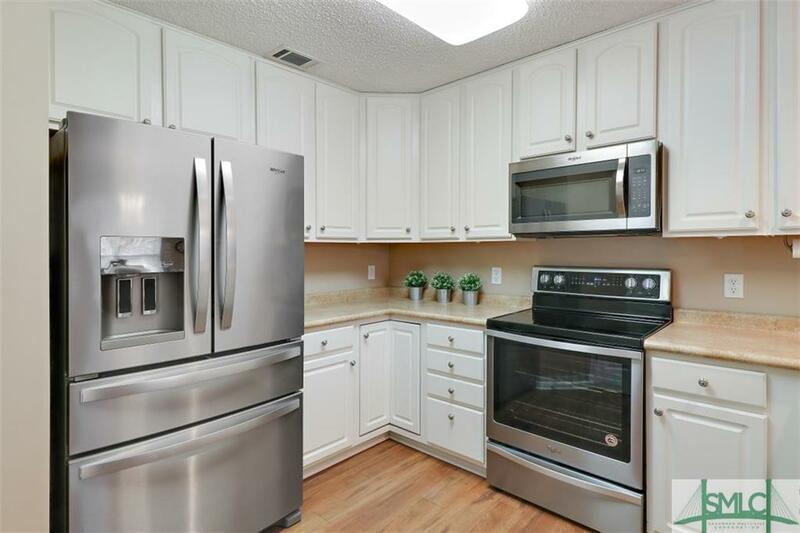 The current owners have added stainless steel appliances, new storm doors front and back. 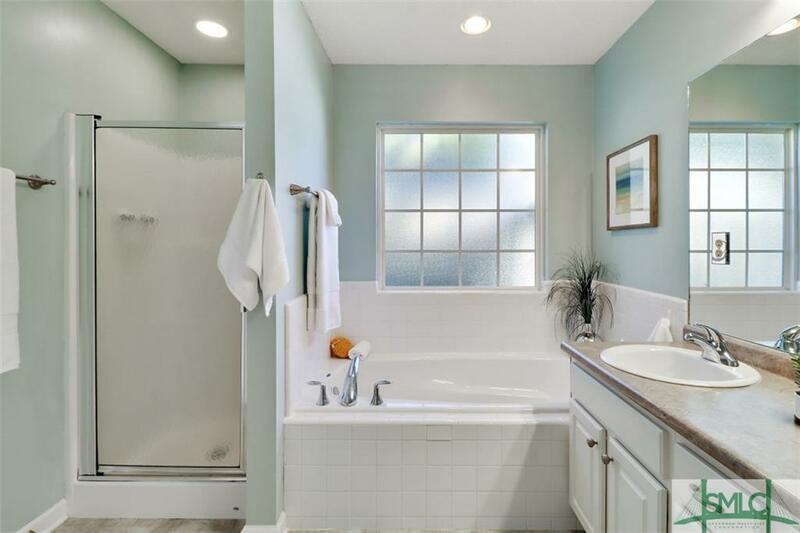 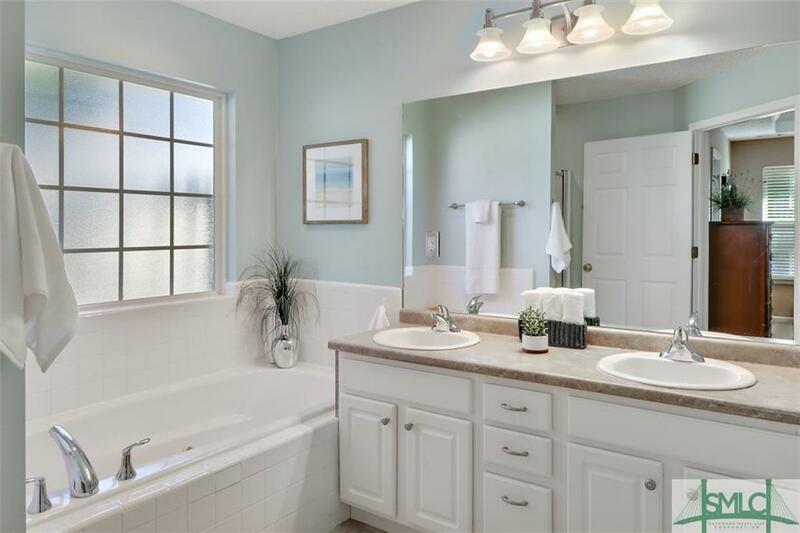 The master features a large on-suite bath with dual vanities, jetted tub and separate shower. 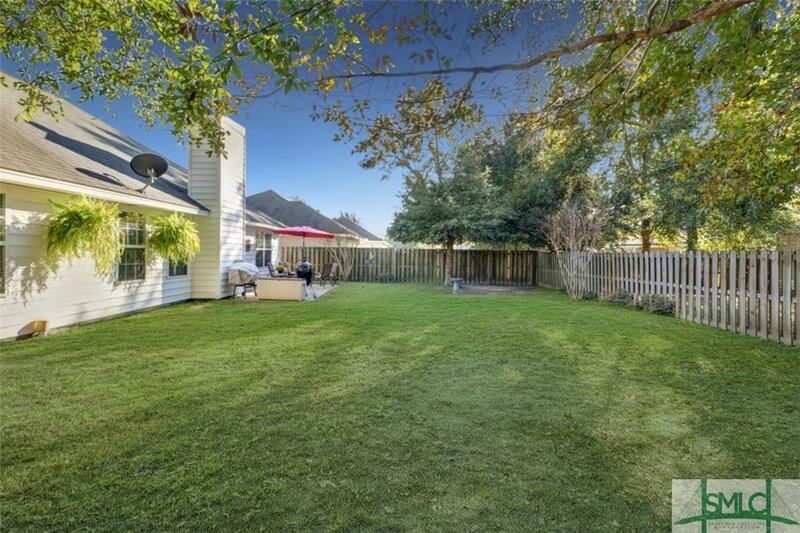 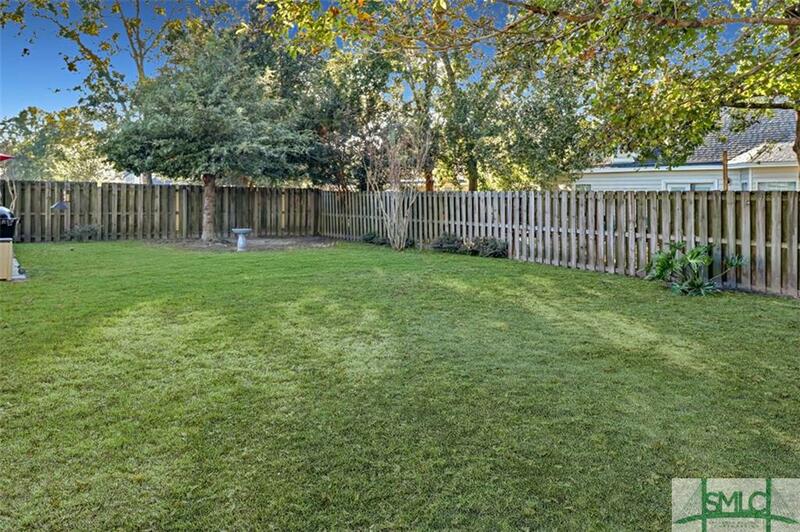 The back yard is completely fenced in and has a wonderful feeling of privacy. 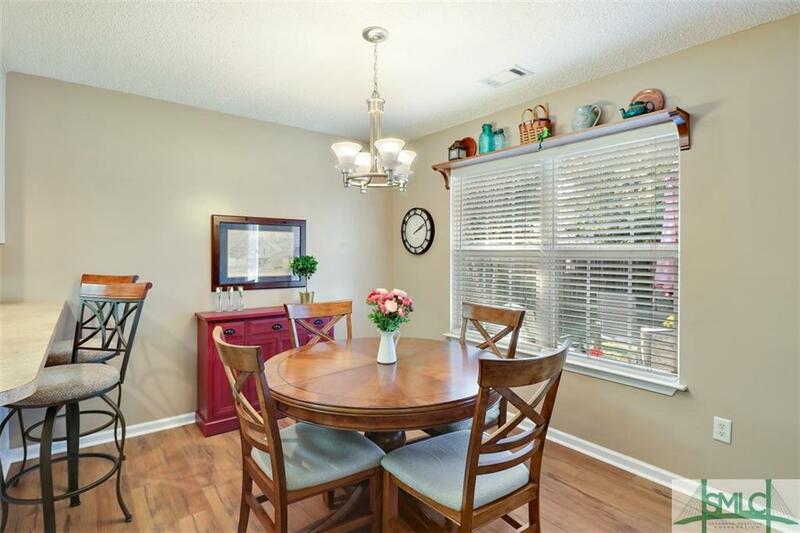 The 2 car garage features a great work bench with peg board and convenient electrical outlets. 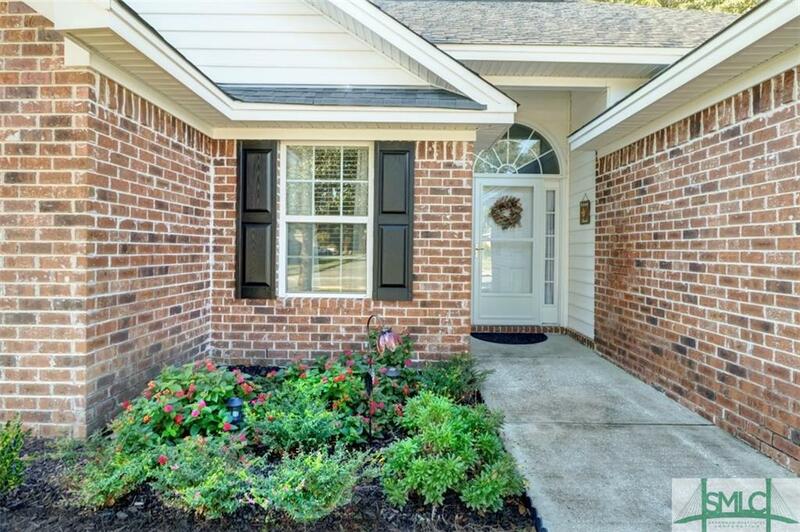 There's even a home warranty though Old Republic that transfers to the new owners, good through October, 2019! 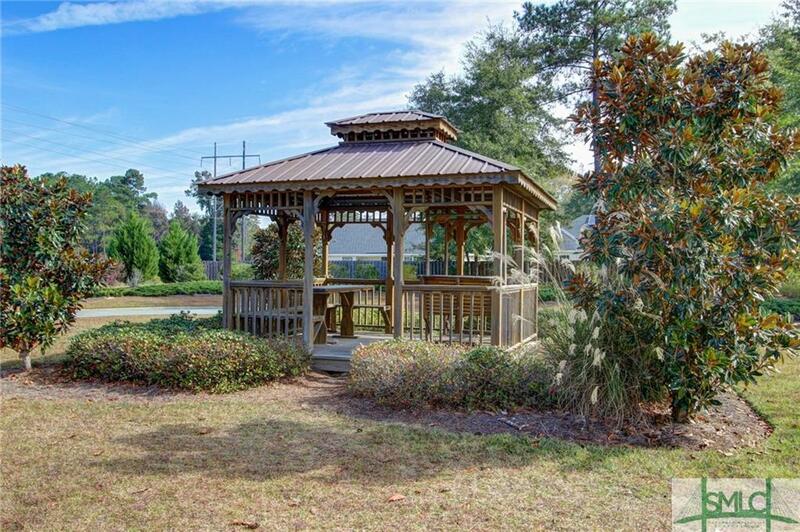 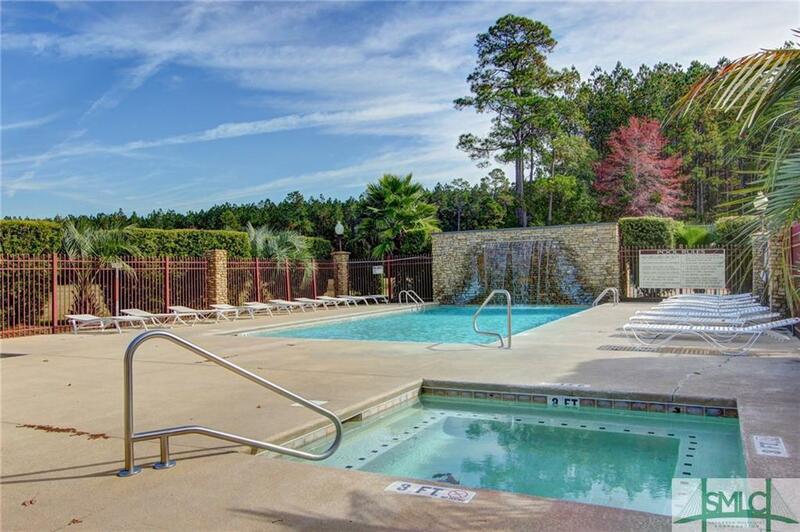 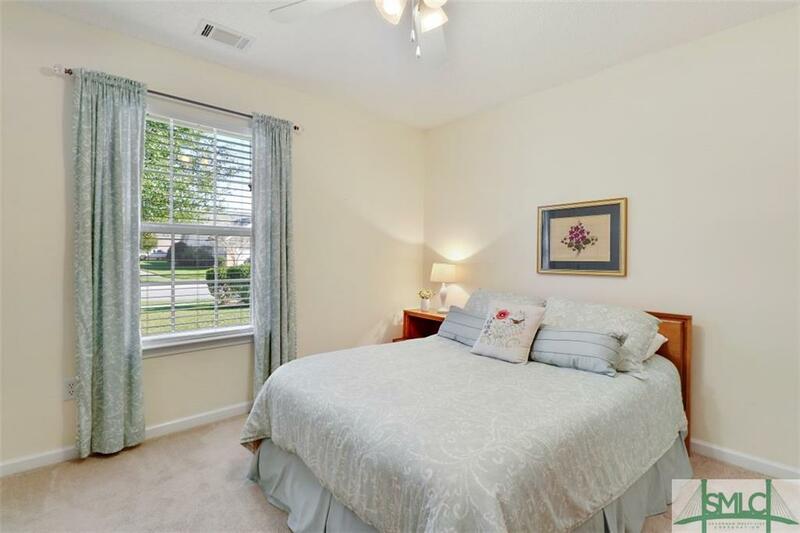 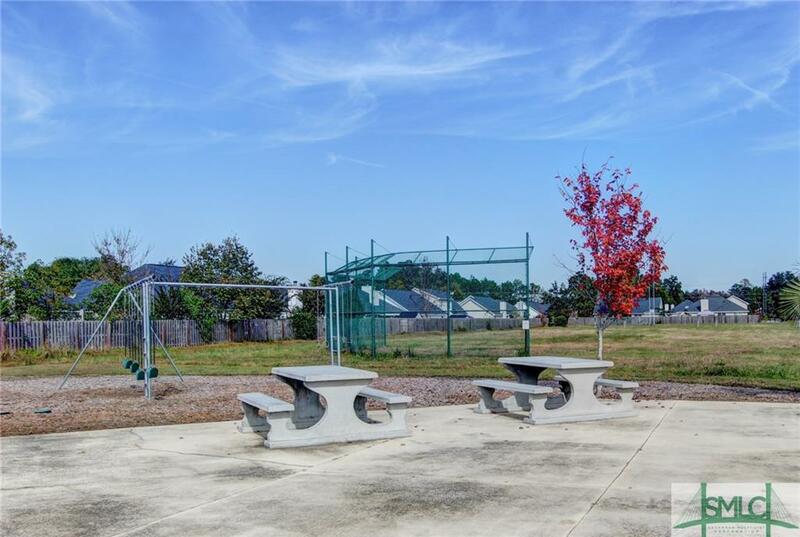 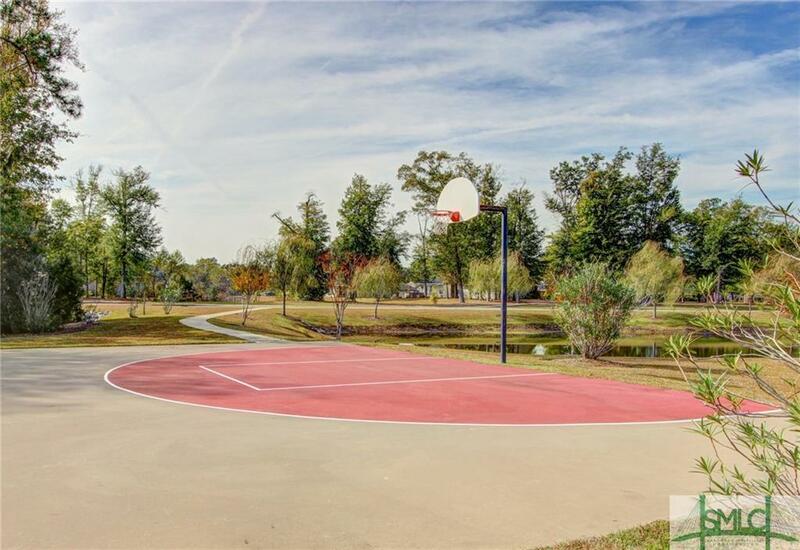 Stonegate has great amenities like a pool with waterfall, tennis courts, sidewalks, street lights and more. 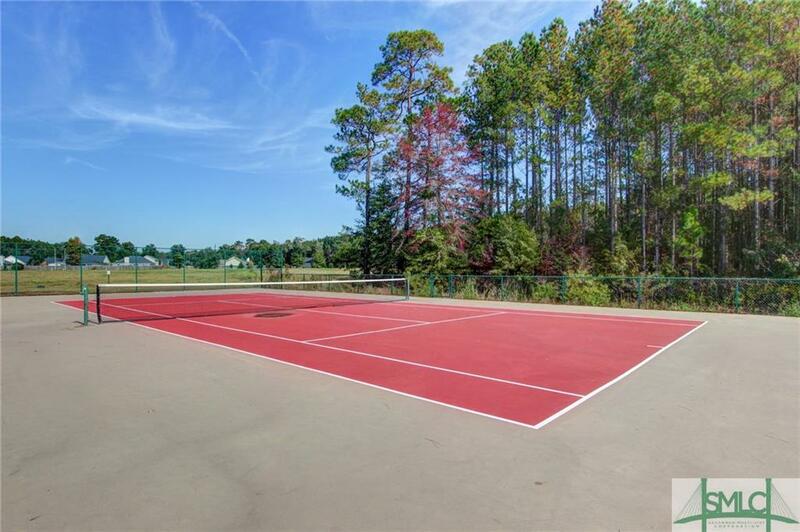 Being located right off of Old River Road, means you're only 5 minutes to I16 and 25 minutes to downtown Savannah. 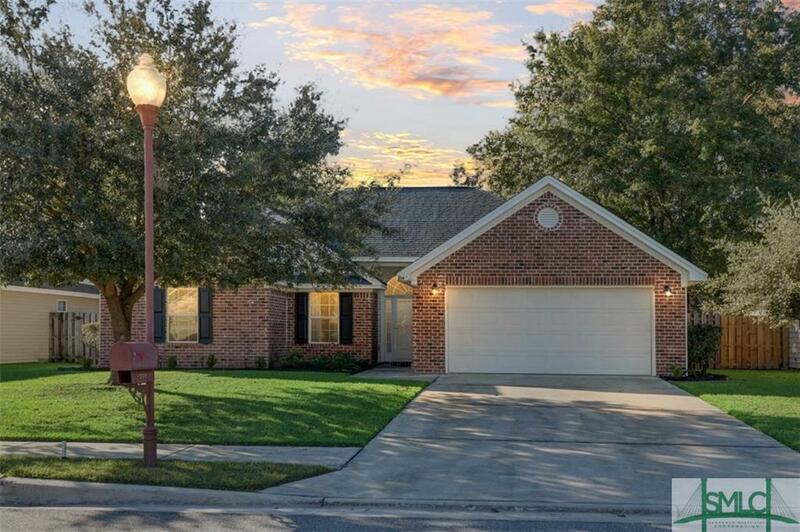 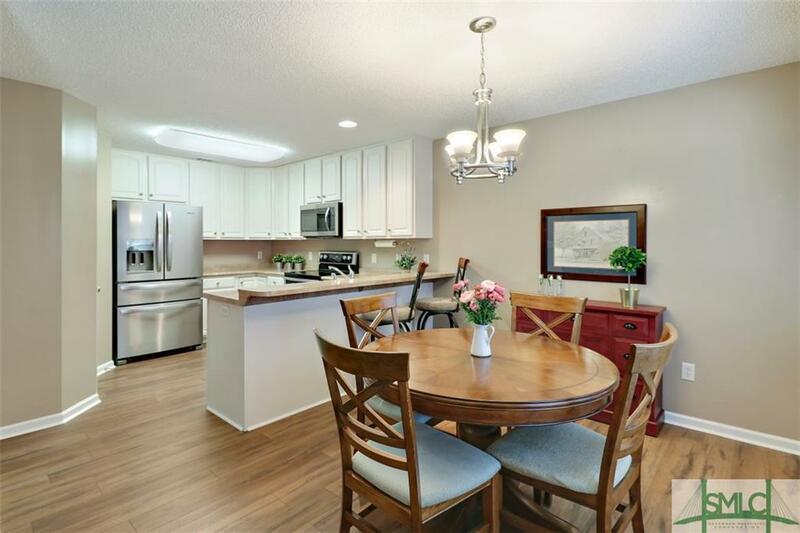 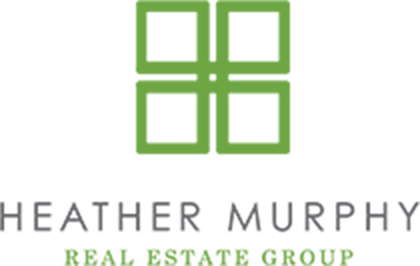 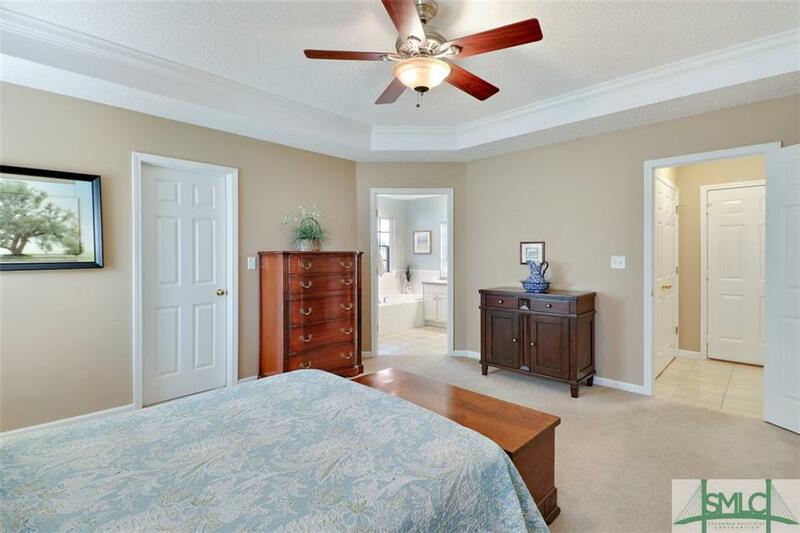 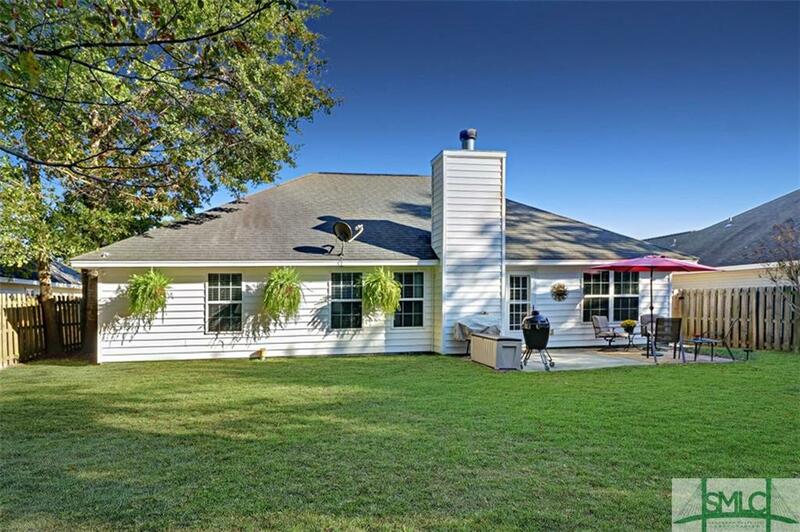 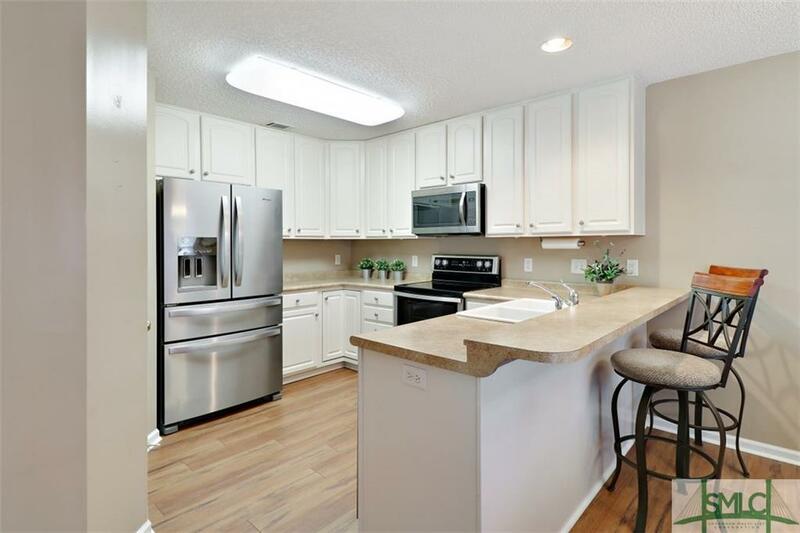 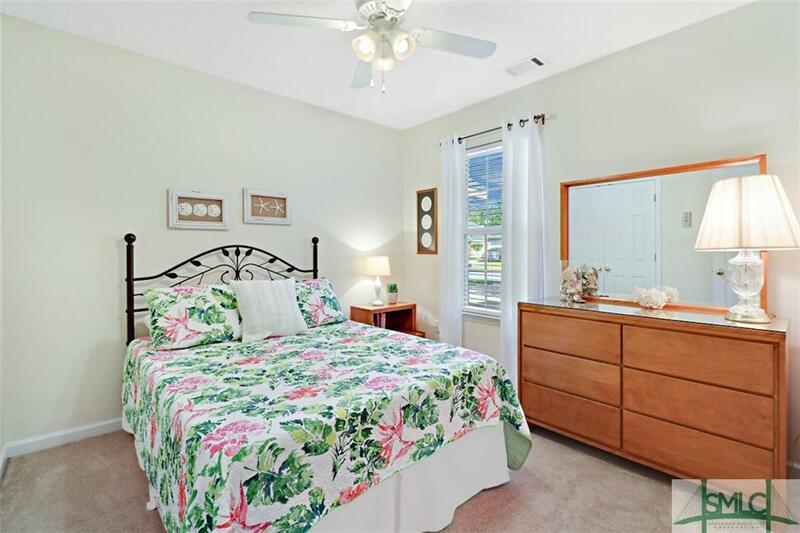 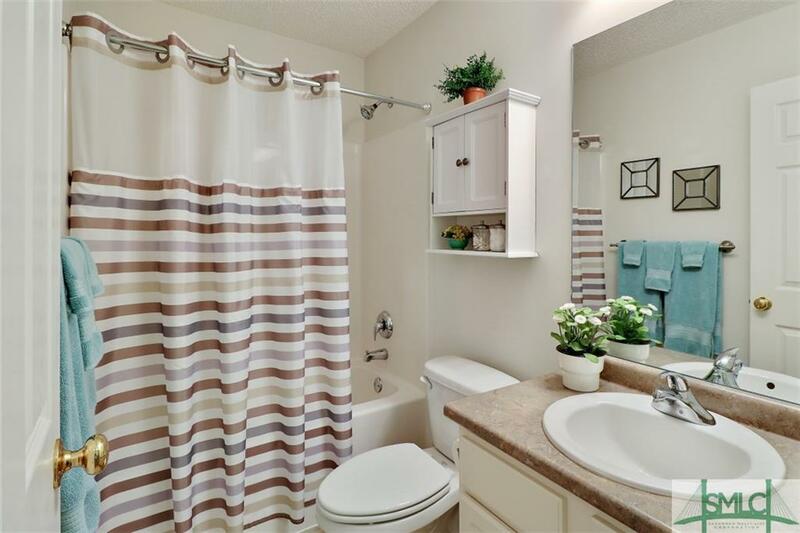 You won't find a better cared for, move-in-ready, home!